Renting commercial property isn’t cheap. Startup founders just in the process of setting up offices would know. 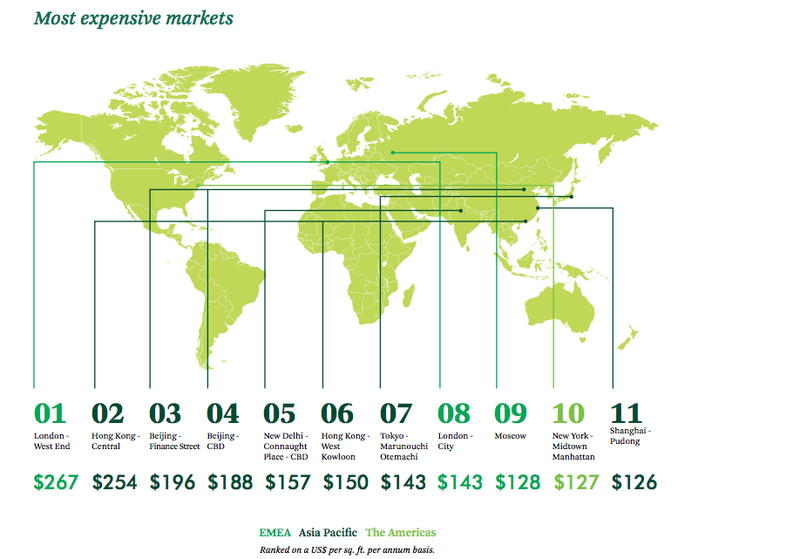 A recent study (PDF) done by CBRE – a global real estate company – throws some eyebrow-raising stats. New Delhi is the world’s top 5th expensive city in the world to rent office space, beating Hong Kong, and Tokyo. In the same study, London (West End) retained its position as the most expensive prime office market worldwide, followed by Hong Kong (Central) and Beijing (Finance Street). 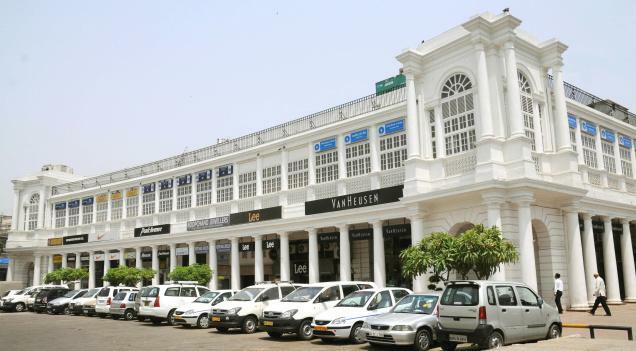 The survey has taken into account specific CBD (Central Business District) areas in cities, and in New Delhi the most expensive area is Connaught place, garnering it the 5th most global expensive city slot. Property costs can touch upto $157 per sq feet/ per year at Connaught place. For perspective, an average McDonalds cafe is 3500 sq. feet which means a rent totalling about INR 3,57,17,500 a year or around INR30 lacs a month! “Even at US$156.96 ( Rs.10,000) per sq. ft. demand for commercial office space, particularly from banking, financial services and media companies, remains high due to the area’s central location and transportation links. Rents continue to stay firm in the area, as no fresh supply has been added for almost two years.”, says the study. Connaught place is home to many offices like American Express, India bulls and 100+ top retailers like Adidas, Allen Solly, Titan. While Connaught place in Delhi has sky-high rentals, interestingly Gurgaon a suburb of Delhi hitherto was the preferred area for office spaces. But now with a saturated area dotted with many tech parks and offices, the property prices in Gurgaon are soaring too, making way for discovery and development of new areas. Meanwhile, the rental costs for other metro cities in India like Bangalore waver around Rs. 6000/sq. feet in Koramangla, while they are around Rs. 8000/sq ft in Bombay. Rising commercial property costs are making the option of shared office spaces and remote working options an attractive and sensible proposition, especially to the startups world, while established companies are looking at establishing campuses away from the city to mitigate operational costs.